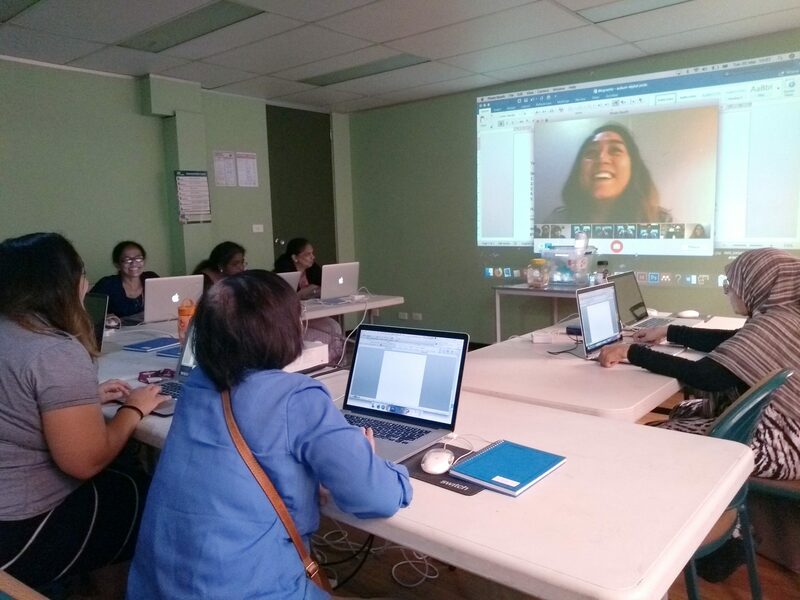 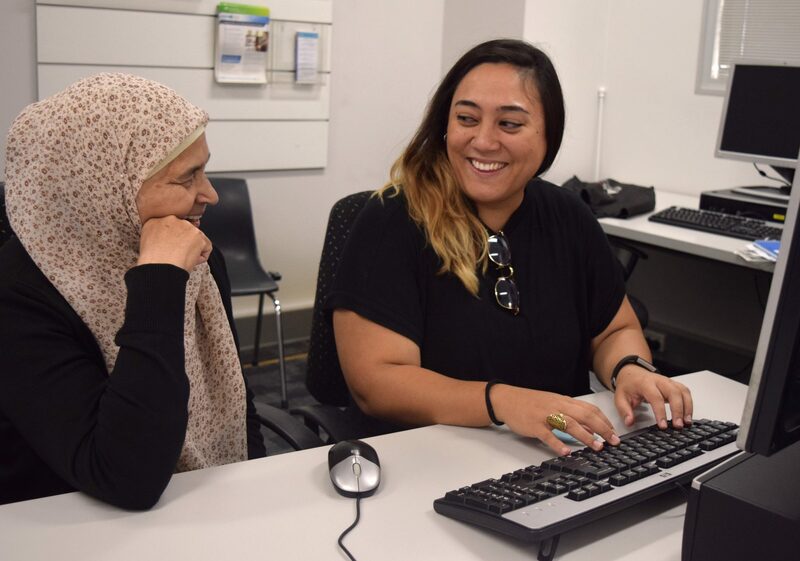 Auburn Digital Pods is a training program delivered by the Family Creative Hub for women from families accessing support groups at Auburn Diversity Services Inc. (ADSi). 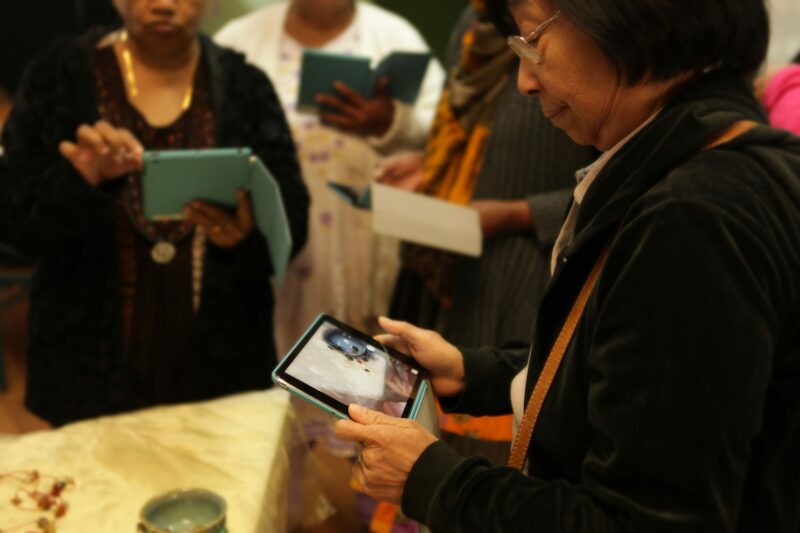 Women learn the skills to engage with digital creativity, literacy and communication over 9 weekly 2-hour sessions. 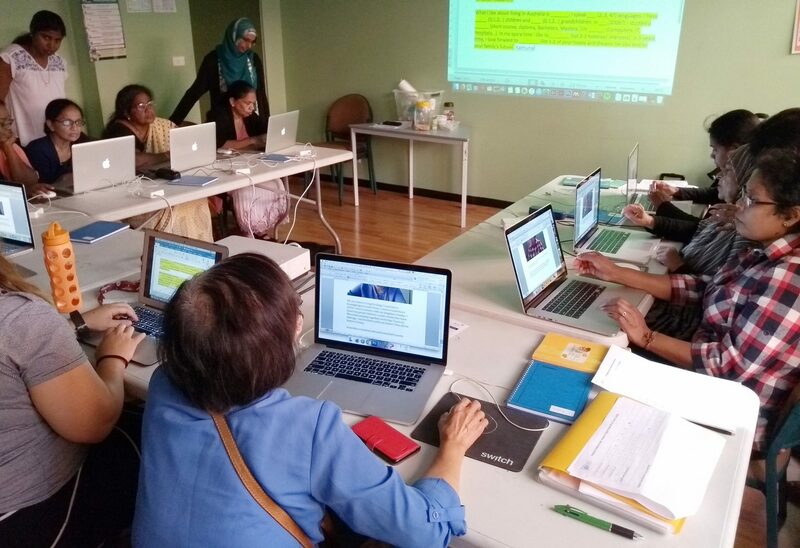 Workshops focus on computer skills, digital English literacy, web navigation, social media, as well as more advanced software like Photoshop. 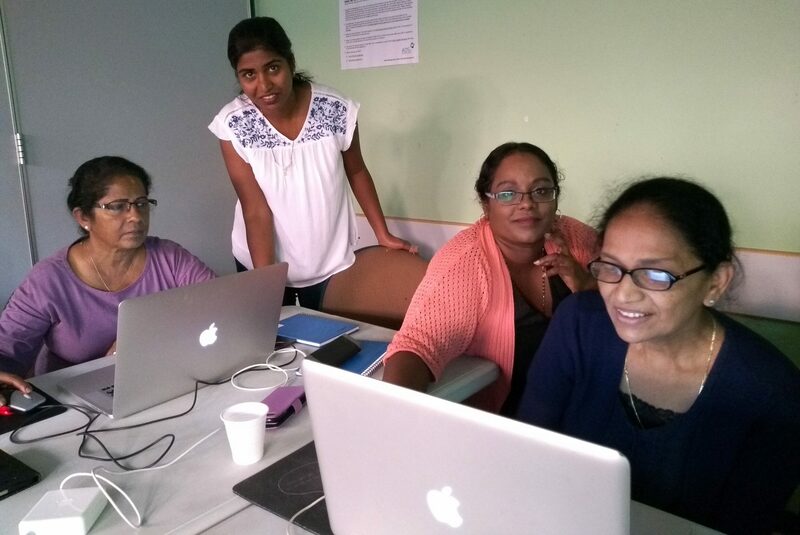 The focus for Term 1 is on delivering digital and English literacy workshops to the Tamil Women’s Support group. 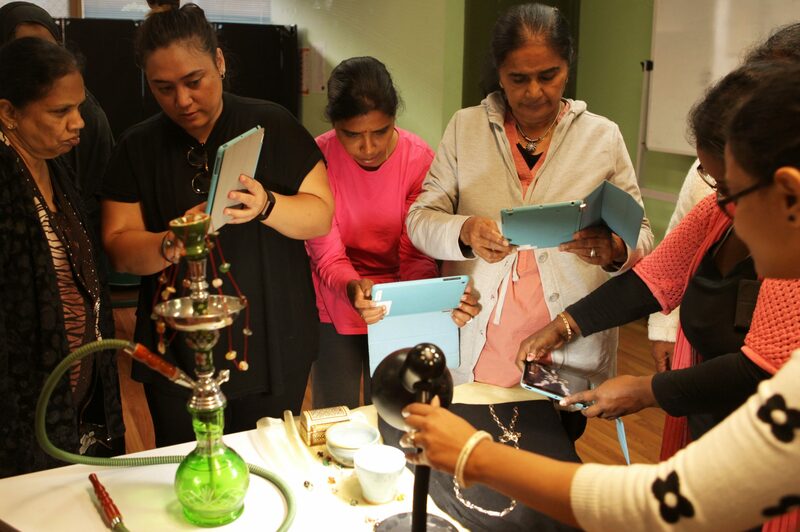 Workshops include essential training around online safety and accessing online services in a friendly, relaxed space with experienced facilitators and childminders. 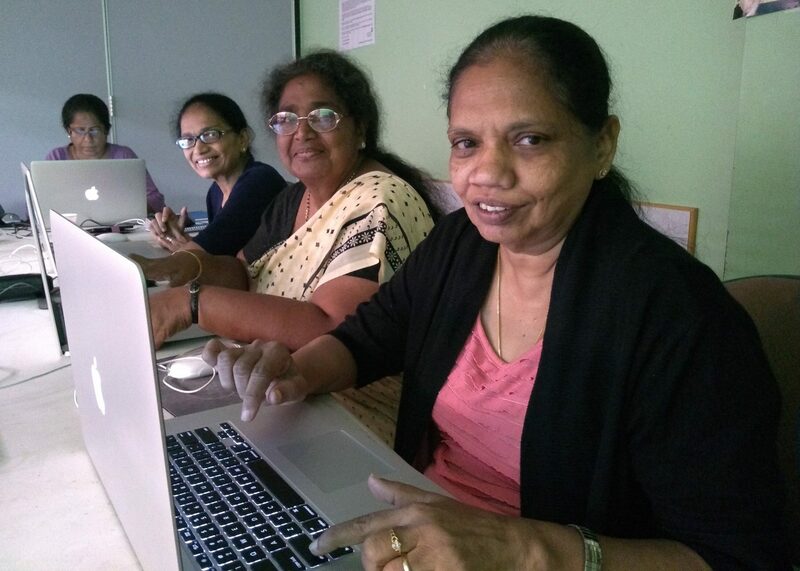 The intent is for the women to feel more confident using computers and navigating the internet. 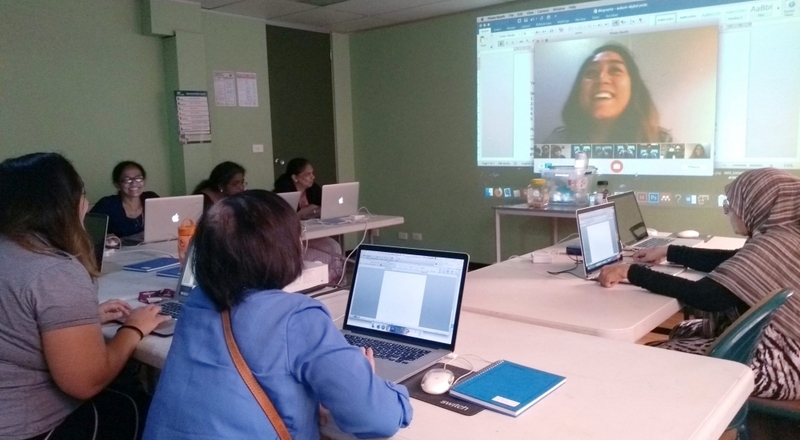 Term 2 is all about using digital tools for business development. 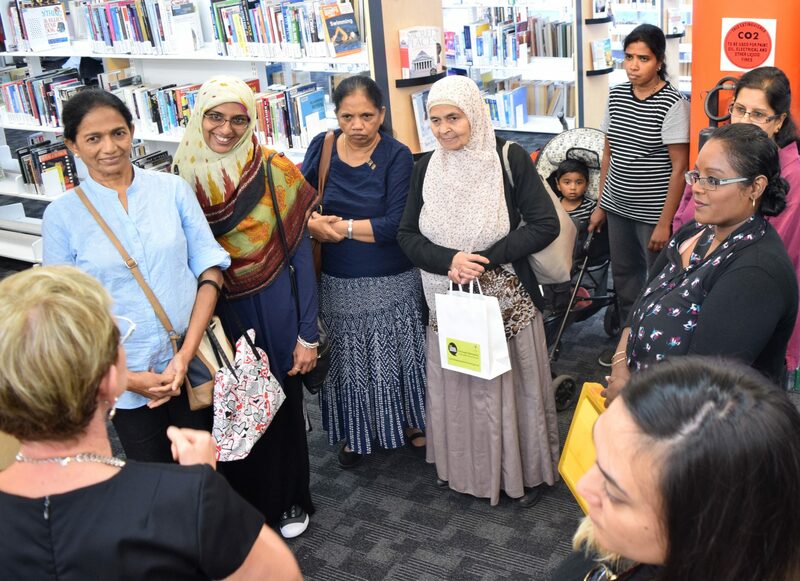 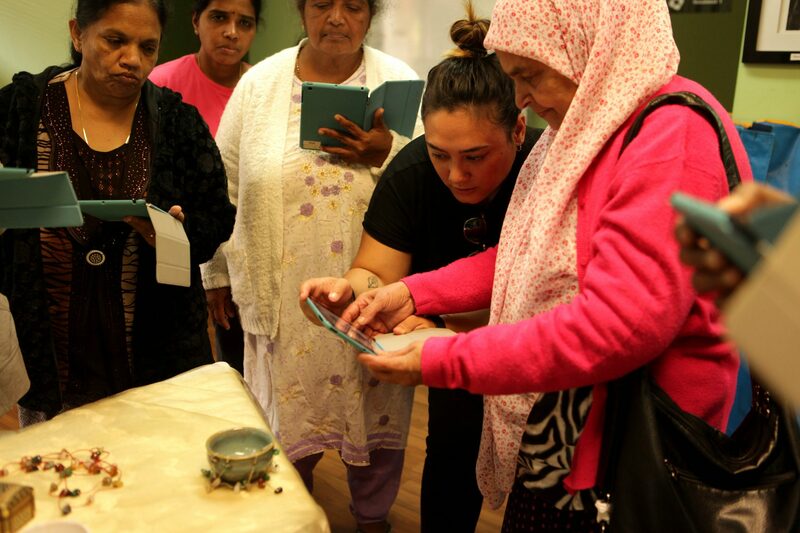 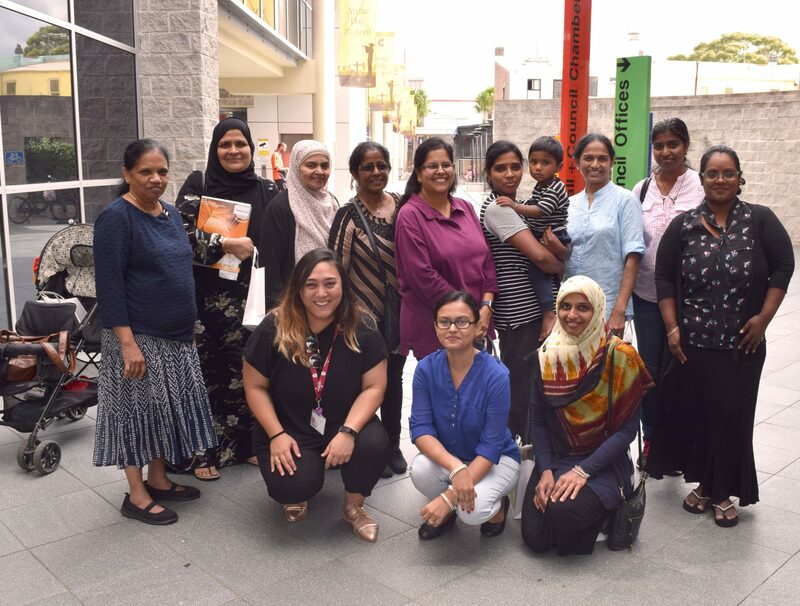 The women from the Tamil Women’s Support group will be learning to make business cards and flyers, as well as how smart phones, tablets and social media can be used for marketing and promotion. 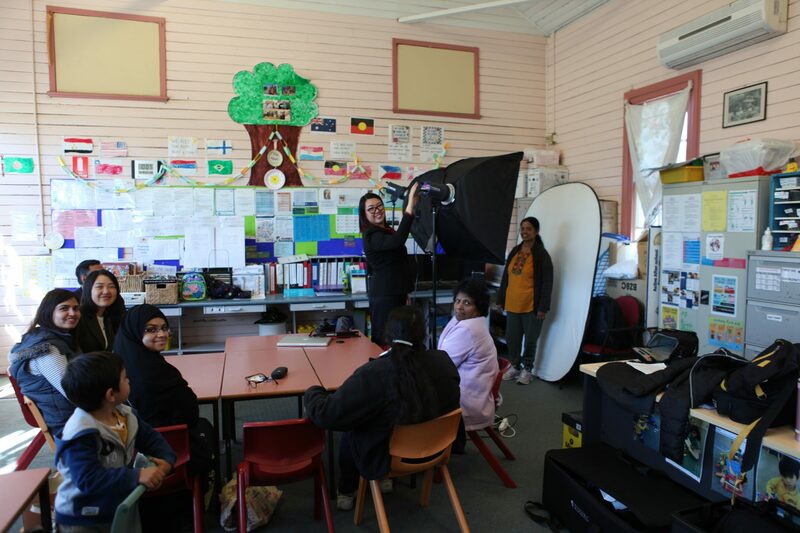 Auburn Digital Pods is working in partnership with Auburn Diversity Services at Berala Public School throughout Term 3. 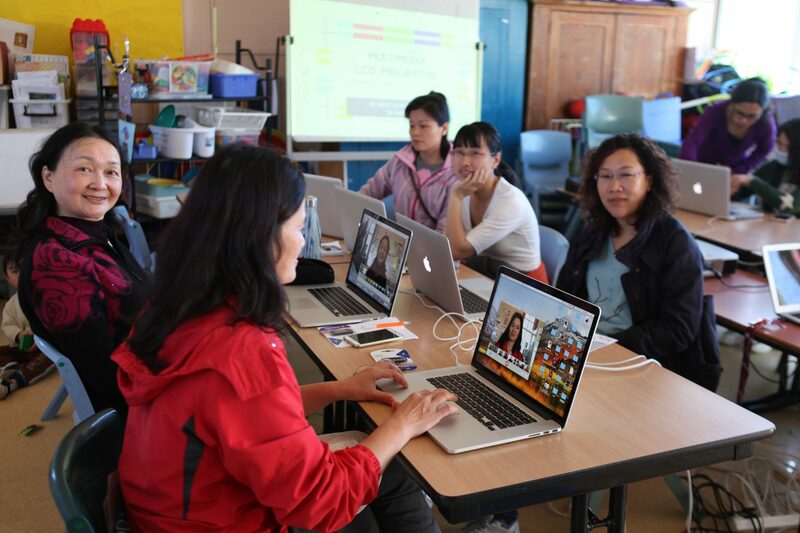 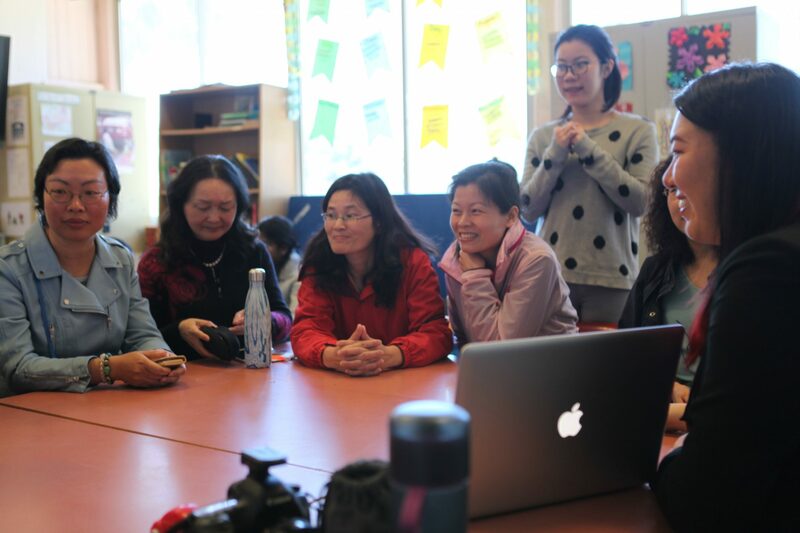 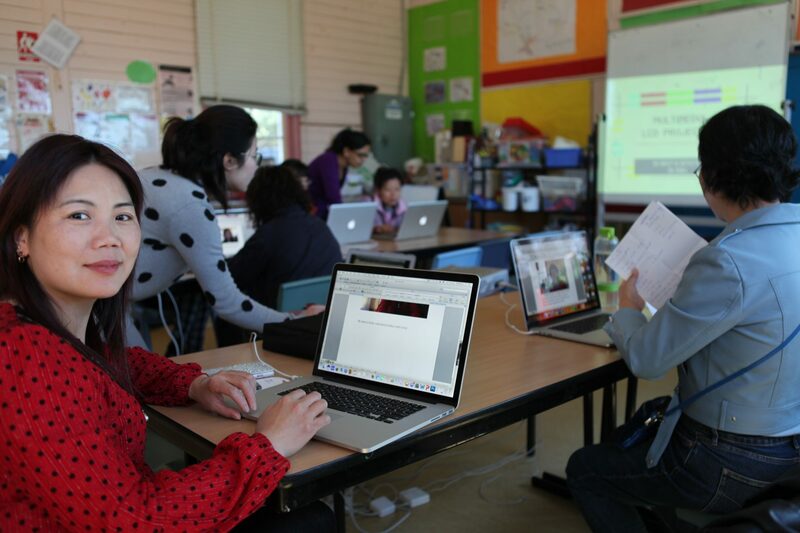 A new group of families have come on board to learn English and digital literacy using storytelling, photography and digital imaging. 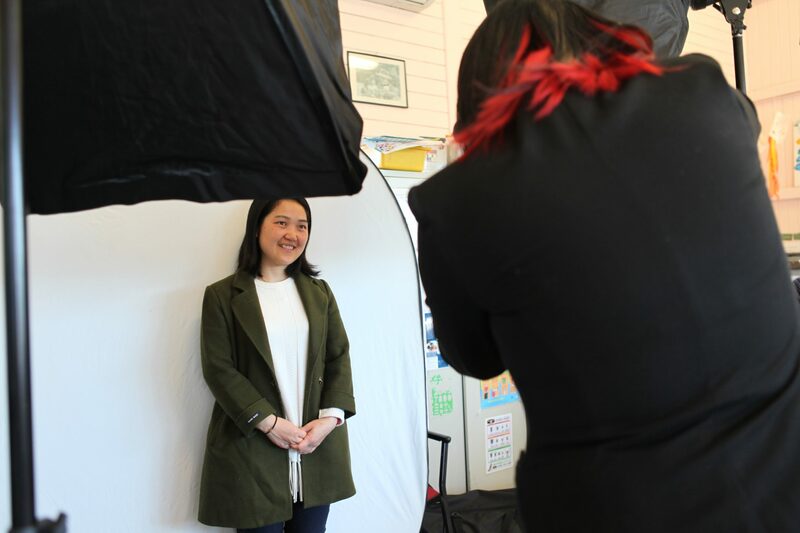 Professional photographer Nancy Trieu is working with the group on specifically on portrait photography and digital imaging. 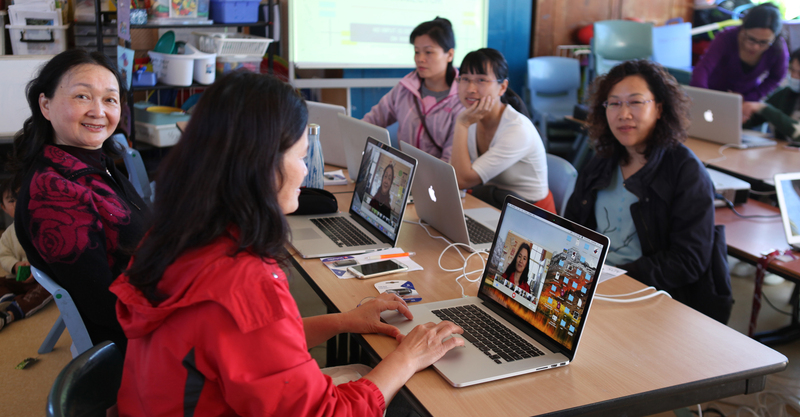 Facilitators: Liza Moscatelli, Priti Lata Mazumder and Kelly Xia. 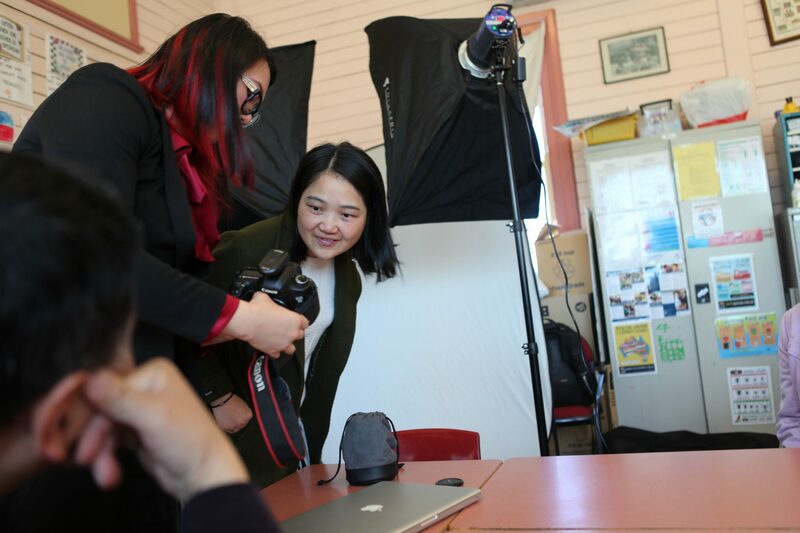 The Auburn Digital Pods project is facilitated by the Family Creative Hub program and is funded by Cumberland Council.